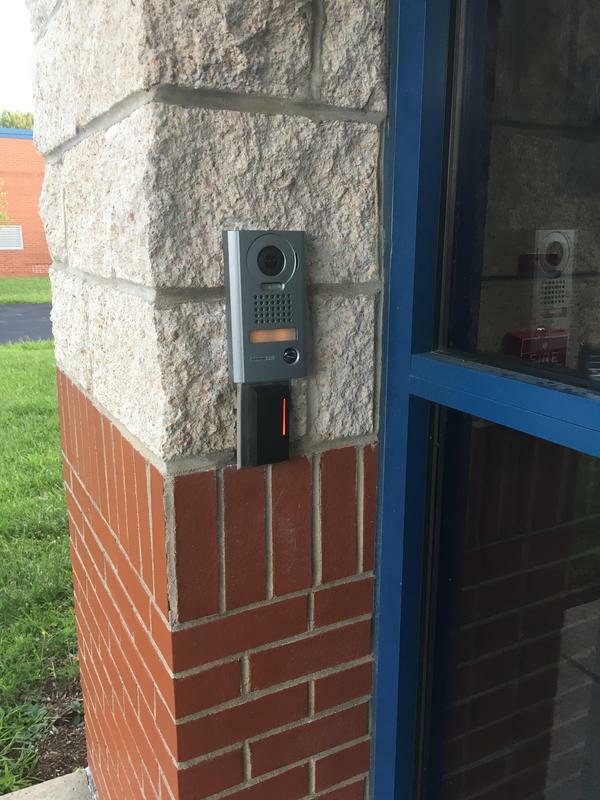 All visitors to the school district must report to the newly installed camera and call button which is mounted to the exterior wall of the exterior door of the elementary school main entrance, the high school main entrance, and the district office main entrance. 1. Visitor arrives at one of the school's main entrances. 2. Visitor locates the camera and the call button located on the exterior wall next to the visitor entrance door. 3. Visitor press the call button. 4. Notification buzzer sounds in the office. 5. District personnel asks the visitor who they are and what is the reason for their visit. 6. District personnel gives or denies access to the building.